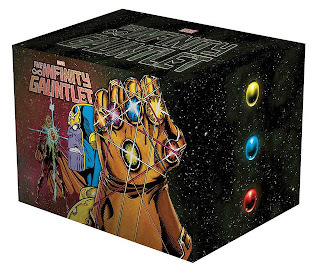 In second place last week, Marvel's Infinity Gauntlet Box Hardcover Slipcase Set, which at $500 is the most expensive item seen in these charts this year, was the top reordered hardcover or item of any kind, by dollars. It was a March 7 item. Oblivion Song #1, so long the most advance-reordered comic book releasing in March, was the top comic book reordered. It also arrived in stores March 7. Second was Oni's Rick & Morty Presents the Vindicators #1, which sold out of its March 7 release and now has a reprint set for April 11. As such, filled- and unfilled-orders for the issue caused it to make both the reorder and the advance reorder charts. Continuing with the theme, the first Rick & Morty trade paperback from 2015 was the top reordered softcover. Marvel had ruled the advance reorder charts for several weeks, but a comic book a thousand issues in the making happened along. 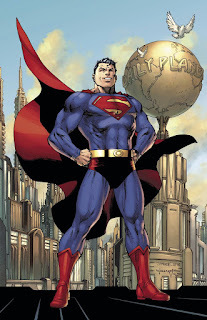 Action Comics #1000, due out on April 18, was the top advance-reordered April issue — and all 10 of its covers made the Top 12. Domino #1 was the top Marvel title, in second. It goes on sale April 11. Perhaps as a consequence of the Action issues, no graphic novels, hardcover or softcover, made the list at all. We've seen enough reorders and advance from the past few weeks from Diamond Comic Distributors to be able to collate some information onto pages for March 2018, April 2018, and May 2018. Check them out for a further glance at the future.